Hermle Lakin 23025-500721 Triangular Keywound Table Clock in Gold with Arabic glass dial and polished nickel movement with an open gear "skeleton" design. 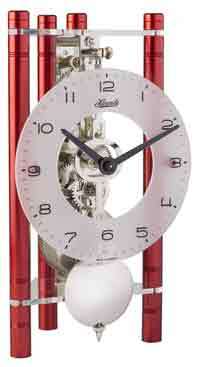 Contemporary Triangular table clock with Gold aluminum pillars and an 8-day mechanical time only movement. 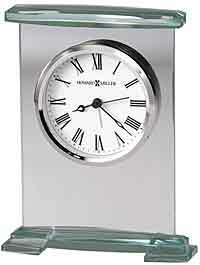 Soft ticking pendulum. 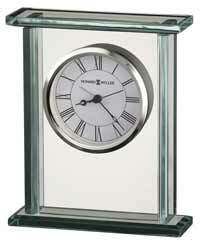 Requires winding once a week. 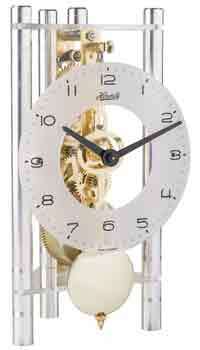 Goldpillars with Arabic glass dial and polished nickel pendulum. 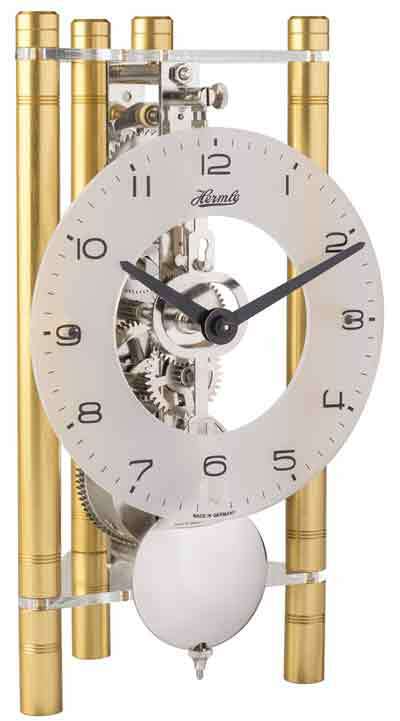 Accurate Hermle German made Movement and body. 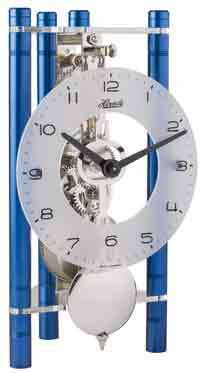 Clocks for sale at The Clock Depot including the 23025-500721 at discount prices.